“Jazz Deluxe” by Clint Hoover and Brian Barnes is a definite keeper! The album consists of Jazz standards, ranging from Brazilian to American classics. Clint’s harmonica playing is as skillful and tasty as ever, not over-doing it, but playing exactly what the songs warrant. I actually played it twice, I enjoyed listening to it so much. I definitely recommend you give this CD a listen, if you want to hear what a great Jazz player can do. This jazz duo of guitar and chromatic harmonica has toured Sweden and played the prestigious Jazz Umea International Festival. Their CD has a relaxed, swinging sensibility with a definite nod to the West Coast Cool Sound. A nicely varied selection of standards from Rodgers and Hart’s tin pan alley classic Isn’t it Romantic to the soul jazz of Lee Morgan’s The Sidewinder. Brian Barnes handles the hollow body guitar duties and lends his vocal chops on a few tunes, bringing a sophisticated yet straight forward, natural approach to the music. 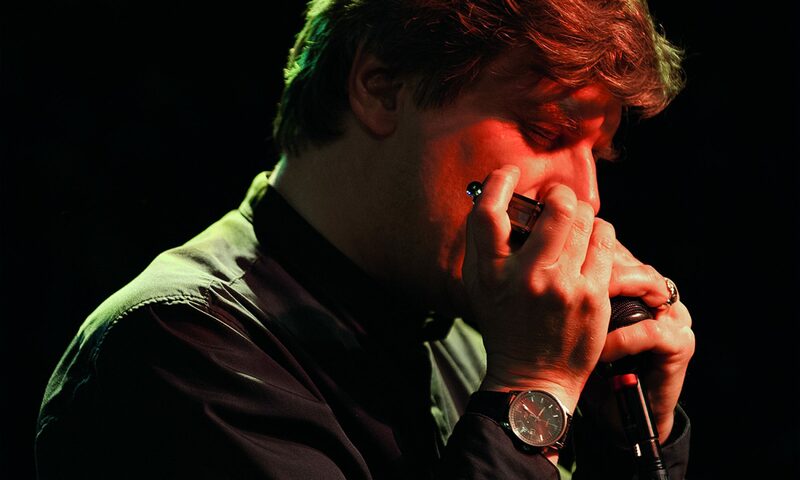 Clint Hoover blows the fluid, expressive chromatic harmonica leads and demonstrates his confident mastery of his instrument and the genre. This is mostly an instrumental CD ranging from intimate guitar-harp duets to tracks with a full backing rhythm section of bass and drums. A hip, elegant, easy on the ears jazz CD.